In Winter and Spring, our WFR courses are conducted at the beautiful Group Campsite on Mount Seymour. With nearby overnight parking, plenty of tenting areas, and a lovely closed-in hut with a wood-burning stove, camping is not just welcome, but encouraged. Search Seymour Group Campsite on Google or Apple Maps for the exact location. For our summer and fall courses, we head to Cypress Mountain Recreational Ski Area, where an entire mountain serves as our outdoor classroom! Search Cypress Mountain Hollyburn Nordic Ski Area on Google or Apple Maps for the exact location. Warning: although there are overnight parking areas close by, there is no camping at Cypress Mountain. Dr. Liddicoat is a UK trained physician, experienced in emergency and wilderness medicine. She has supported medical expeditions from the Amazonian tropics to the gnarliest of mountains in Scotland and Wales. Despite having 8 perfect puppies back in the UK, she has come to Canada to ski, kitesurf, and become a family medicine doctor. Mark is a paramedic with the British Columbia Ambulance Service, a former high school science tutor, and has provided leadership and medical support on remote expeditions. All of these experiences have guided the development of his dynamic and pragmatic approach to WFR instruction. He is currently preparing to become an Advanced Life Support Paramedic. 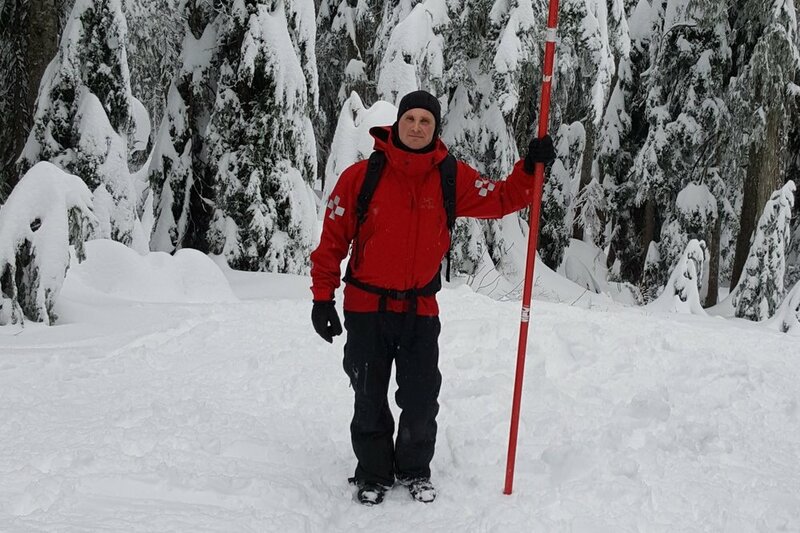 Kieran, is paramedic with the British Columbia Ambulance Service, and a Nordic Ski Patroller at Cypress Mountain. In 2018, Kieran became one of Canada first trained Red Cross Wilderness First Responder Instructors, and contributed scenarios and feedback that serve as the foundation of that program. Full WFR recertification is required within 3 years, and is performed over an intensive 3-day period. Group clients can discuss an alternative, yearly schedule. The following is a list of topics covered during the course, not a course agenda or course schedule. You will receive a complete course schedule upon registration. How Many Students Do You Expect? * There is usually a 7 student minimum for our courses. If you have less than six, please contact us to discuss options.